With FullStory Pro Edition, you receive 20 free seats (standard or admin). With FullStory Free Edition, you receive 3 free user seats (standard or admin). All editions receive unlimited Guest seats. 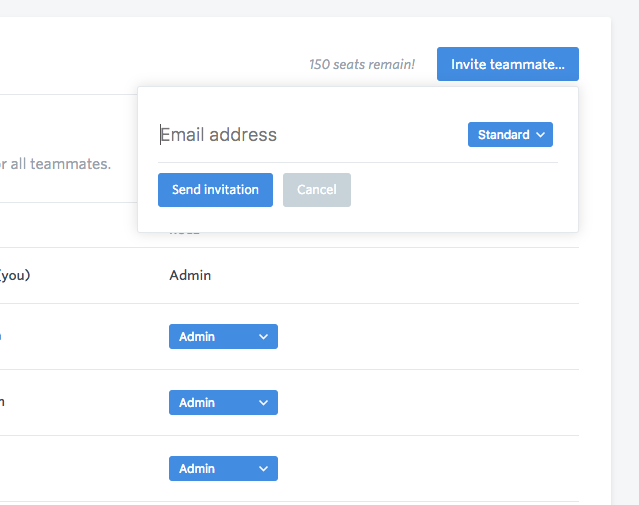 If you need to add more Standard or Admin seats, please email using the Contact Us button below. Note: Only Admins can invite new users. Note: If you have Google Authentication enabled, each user you invite will be forced to login with Google and will not be allowed to set a password.